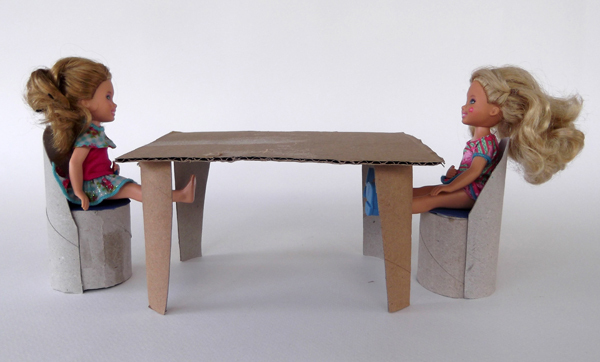 Make this typical dollhouse table with four legs. 1. 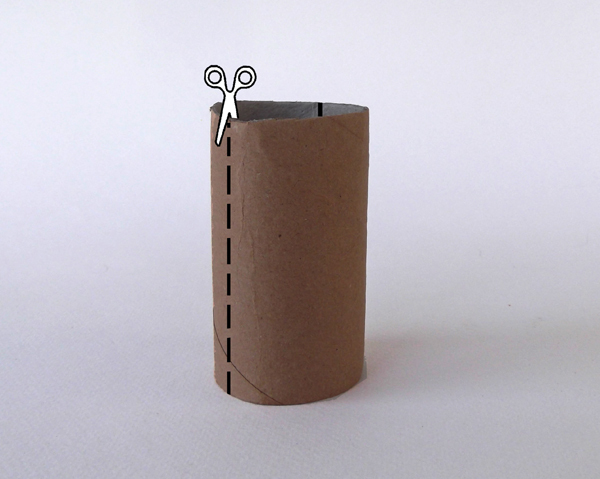 With scissors cut out a small ring out of the toilet paper roll to lower the height of the tube. 2. 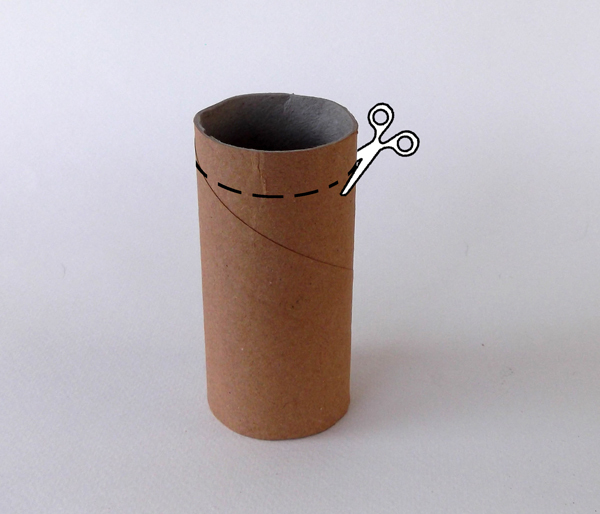 Cut the roll in half lengthwise, from top to bottom to make two semi-tubes. 3. 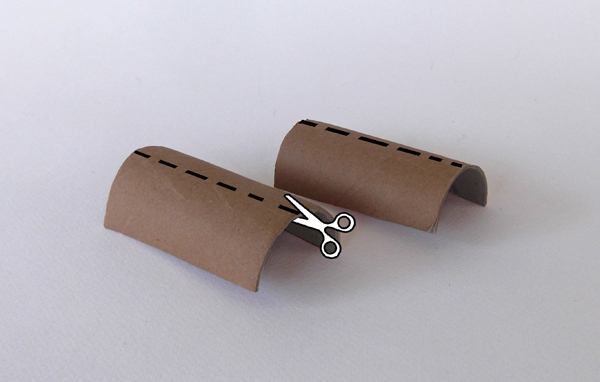 Cut the semi-tubes in half again lengthwise. 4. 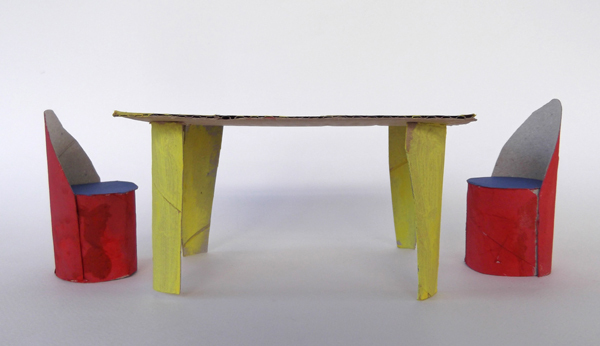 You actually made the four legs of the table. 5. 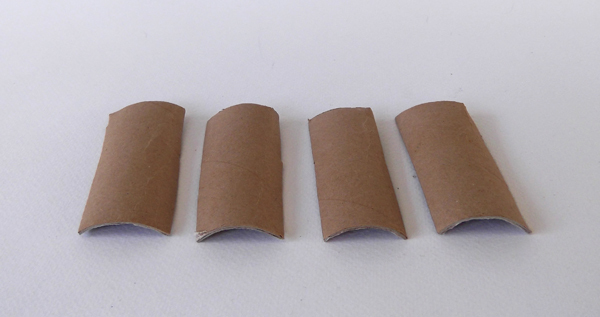 Cut a rectangular piece of cardboard paper or colored paper. 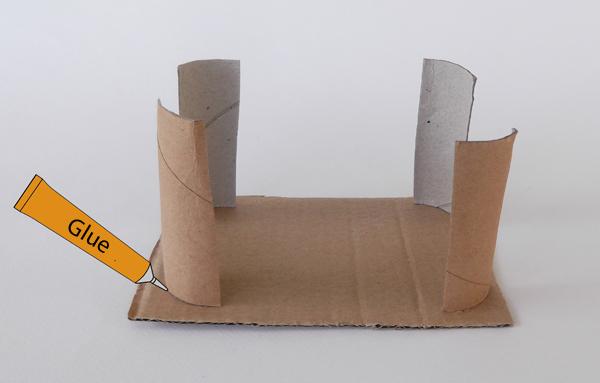 Glue the legs and the table together. 6. Let the glue dries. Make also the chairs to compliment the dining table. You cal also paint the furniture with vivid water colors.